Gel stain in Java – After researching the different options we chose gel stain over traditional stain because of the resulting finish and it’s meant to be easier to work with due to it’s thickness unlike a liquid stain. We then applied masking tape around the top of the spindles underneath the hand rail to prevent stain from messing onto the spindles. This is a rather tedious and slow job. After the suggested curing time on the tin instructions, apply top coat with the foam brush. The reason for applying top coat is that it acts as a sealer and protectant. 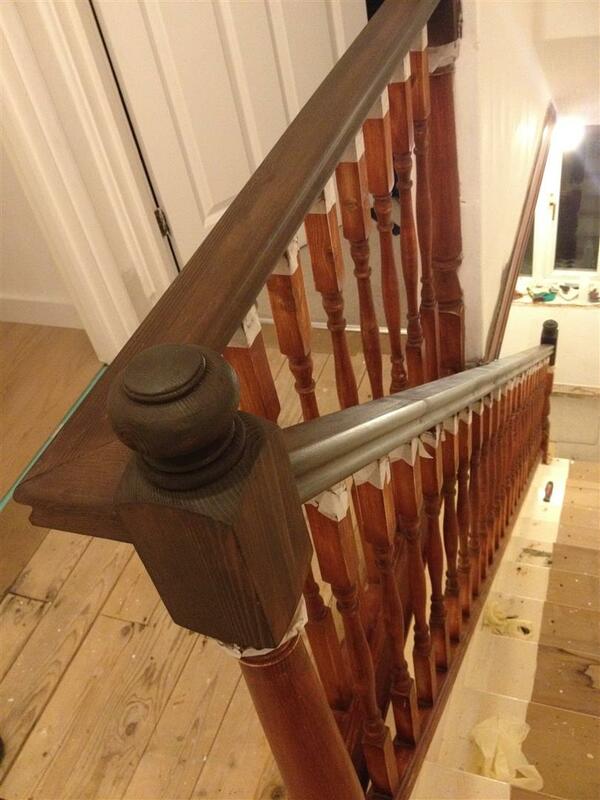 Once the hand rail is dry, the next step is to paint the spindles. If you haven’t already done so according to last week’s prep post, you will need to sand the spindles with the fine sandpaper to get rid of any grease so that the paint will stick. Then apply undercoat or primer on the spindles. 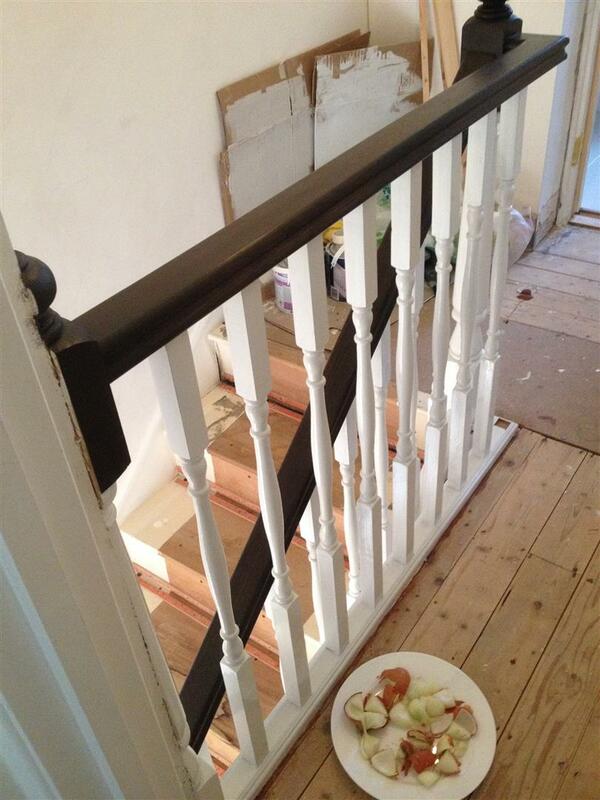 Depending on the order in which you have done this, if you’ve done the hand rail first then you’ll want to protect the hand rail from paint applied to the spindles by covering it with plastic. When you’re ready you can now use wood satin or gloss paint (depending on the finish you’d like) to paint the spindles. To get rid of toxic paint smells leave out sliced onions on plates and little bowls of white vinegar. Believe it or not this does actually work! The final step was having the stairs and floors carpeted. Voila! 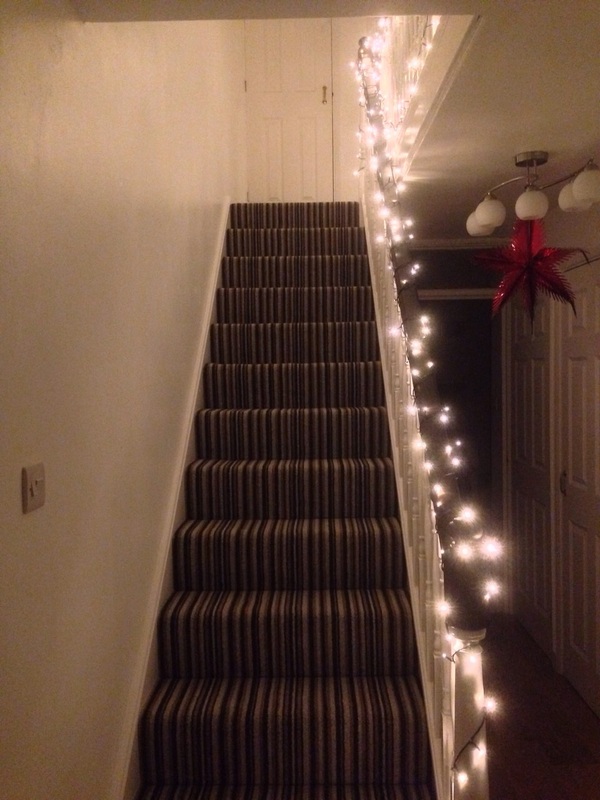 Stairs carpeted and all ready for Christmas! 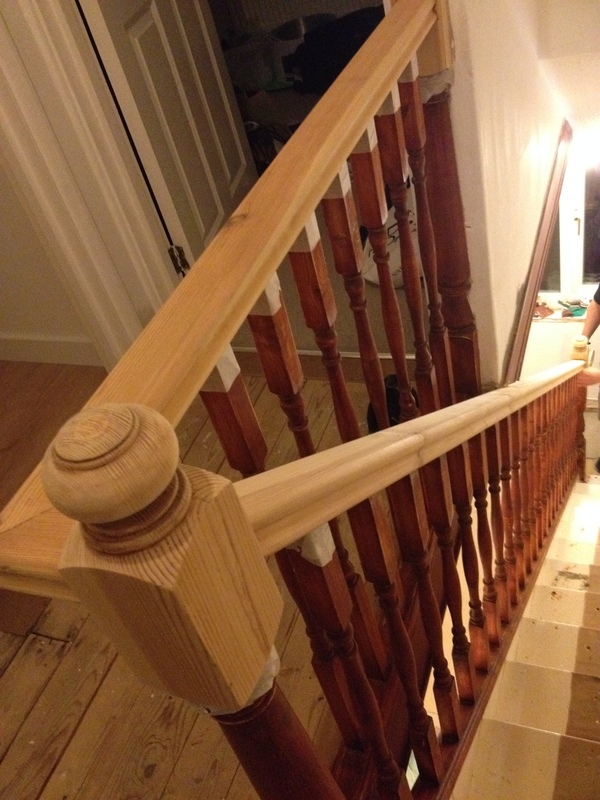 Renovating the stairs was definitely the second biggest DIY challenge we faced in our house. It was definitely worth all the hard work in the end but I can’t say I’m in any hurry to repeat the process. Hopefully my staircase renovation posts have been useful for you and will save you a bit of time and effort with the suggestions I’ve made. Have you done a staircase renovation? What were the challenges for you? I’d love to hear your experience in the comments. Next Post Santorini you gorgeous thing you! Great stuff, I can imagine that re carpeting and renovating stairs can be quite a challenge!